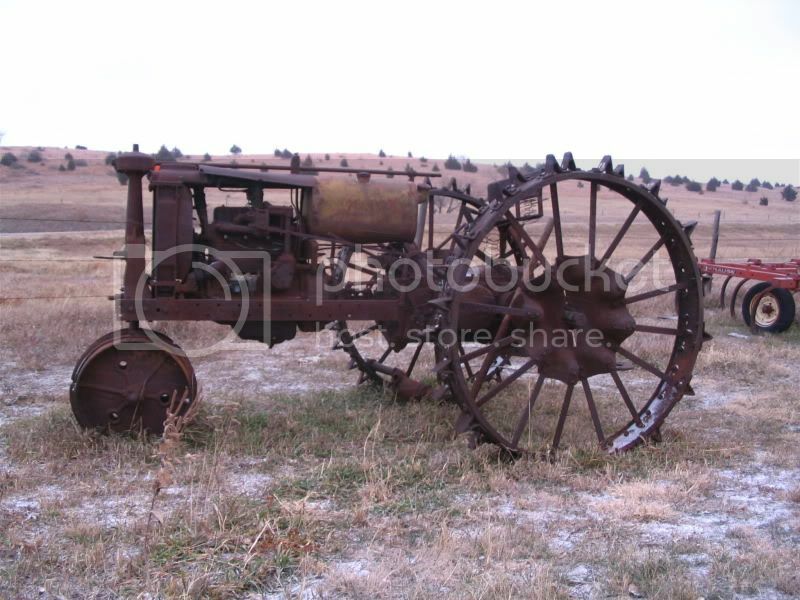 I sold this tractor to a man in AZ. Now his plans are changed and he can not come get it. He wants me to sell it for him. I would be willing to sell wheels or anything to help him get his money back. The engine is stuck, has a brass carb, will roll. No magneto. There are a few parts I could use off of her - Fan shroud, upper water neck, oil filter housing (mount), steering gear cap, coupler that goes from the cap to the steering rod, brake covers (if they're any good, and a couple more. Any idea how good the motor is? What would he/you need for the whole thing? I have one that I am inprocess of going thru and parts up the ying yang from 3 or 4 parts tractors I had. It would be nice to have a tractor that is together to ook at during reassembly. It was taken apart in 93 and now I am trying to assemble it. And Galen I may have what you need just need to look tomorrow. The motor is stuck. I don't see any cracks in the block but there must be moisture or mouse nests in the oil pan because it is rusting through. The man paid me $600 for it. If one of you guys wants it just get him his money back and it's yours. Otherwise if I have to part it out I'm going to want a little for my trouble. I figure I sold it once.